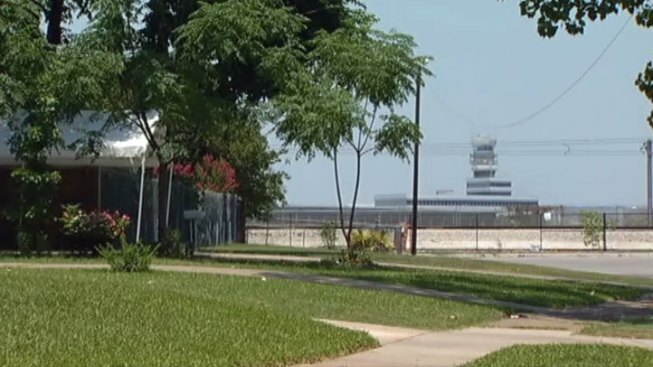 Love Field Wants to Be a "Good Neighbor"
Dallas Love Field is asking the people who live and work around the airport to help decide how it can be a good neighbor. The new Good Neighbor plan was posted for the Dallas City Council Transportation Committee Monday. The opening sentence of the plan says the airport proposes to "improve the land and aesthetics within its area of Influence to promote economic development opportunities, and expand on the City of Dallas' goals of developing livable, walkable and interconnected neighborhoods." Aviation director Mark Duebner said airports around the country are looking at ways to make better use of airport land that is not needed for aviation purposes. "Our goal is to create the conversation with our neighbors, talk about the kind of amenities and development they would like to see around the edges," Duebner said. The City of Dallas airport property includes land and buildings, which are currently vacant or underused. Duebner said these areas could be leased or redeveloped to create a new source of airport revenue. "Dallas Love Field is really unique across the country, as far as being an urban airport that's so close to some of the higher income zip codes. So we think we're in a great real estate position and we need to leverage it," Duebner said. The plan would focus on five areas; the Love Dallas Park triangle of vacant land at Lemmon Avenue and Mockingbird Lane, as well as the Lemmon Avenue, Mockingbird Lane, Denton Drive and Bachman Lake sides of the airport. Little used airport buildings on the Lemmon Avenue side include the former headquarters of Braniff Airlines, which quit flying in 1992. "We think Lemmon Avenue has got the greatest potential for additional real estate development,” Duebner said. Our Lady of Perpetual Help Catholic Church and School is in the Denton Drive neighborhood just west of Love Field. Principal Dan Quill welcomed the idea of an airport Good Neighbor Plan. "They need to pay attention to the upgrading of the property especially if there are abandoned buildings on the airport," Quill said. A direct airport people mover connection is proposed in the future to a new DART Rail Burbank Station on Denton Drive. Quill said the Good Neighbor plan should make the most of this transit connection to attract other improvements for that station and the surrounding neighborhood. "I think in this immediate neighborhood, we could see more improvement, that would upgrade property values, and bring people into the area," Quill said. The airport plans to hold meetings with neighbors through the summer and fall to take input on the plan.